“Prince está muerto. Prince is dead.” A female voice announces these words in a sing-song, matter-of-fact tone during The Gold Experience, Prince’s 1995 album. Prince hadn’t actually died, of course—he had changed his name to a symbol and created a brand new identity. He reinvented himself, as he did so many times before and since. So when I hear today that Prince has been reported dead, I can’t help feeling that he’s just undergoing another magical transformation. Prince was an important figure in fantasy, up there with greats like George Clinton and David Bowie. His music and bizarre lyrical storytelling helped created the modern superhero movie, with his Batman soundtrack. But he also created countless other fantastical narratives, and there was a dense mythos running underneath his music in which figures like the evil Spooky Electric shape your fate. And it’s almost impossible to listen to Prince’s music without being changed—the way in which he combined musical idioms, including gospel and rock and disco, and most of all funk, creates a space where anything seems possible if you follow this mischievous, taunting, soulful presence where he wants to lead. “Can you keep up?” Prince used to ask his audiences in the early 1990s. The answer was always an ear-shattering yes. 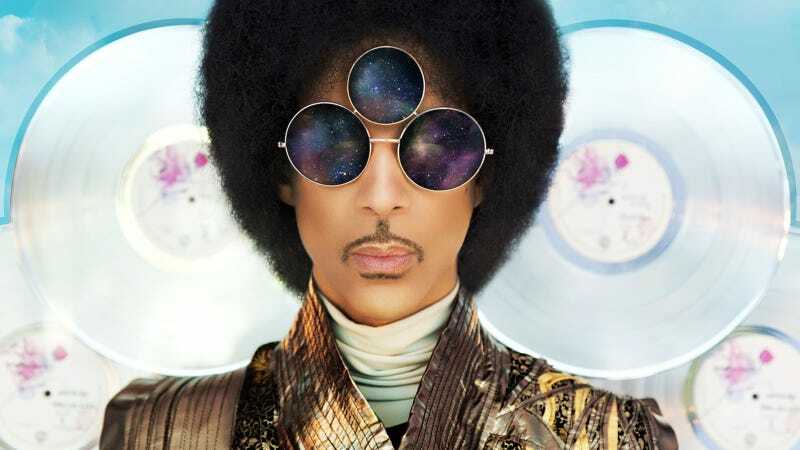 That sense of unlimited potential helped create a space where sexuality and spirituality, a dichotomy that Prince struggled with for his entire career, could be reconciled at times into a kind of ecstasy that went way beyond our limited categories and conceptions, most notably in the Lovesexy album—but this tantalizing notion is all over Prince’s work. I can’t lie, I’m not going to feel okay about this for a long time. Prince’s music helped show me that you could define yourself according to your own inner light, and that the best version of yourself is a moving target. He got me through some really hard times, and made the good times in my life funky and joyous and brilliant. There’s no way Prince is dead. He’ll keep playing tricks on us forever.